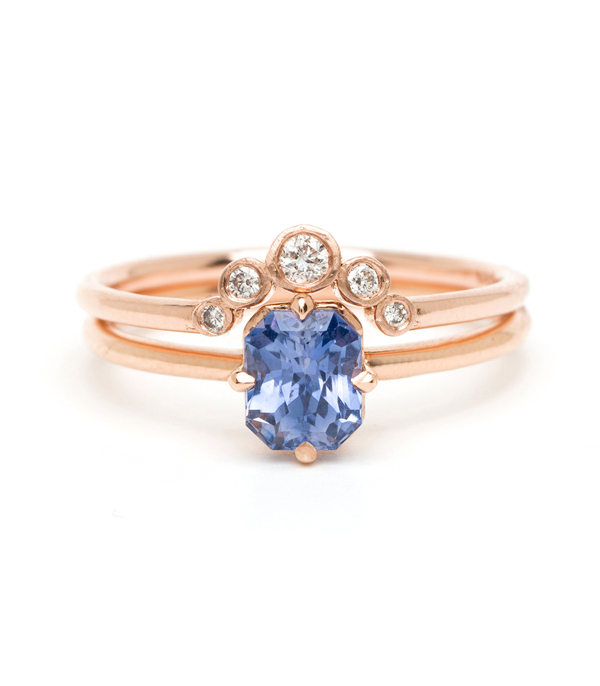 As cool as it is classic, this 18K rose gold, sapphire engagement ring was designed with understated simplicity in mind. 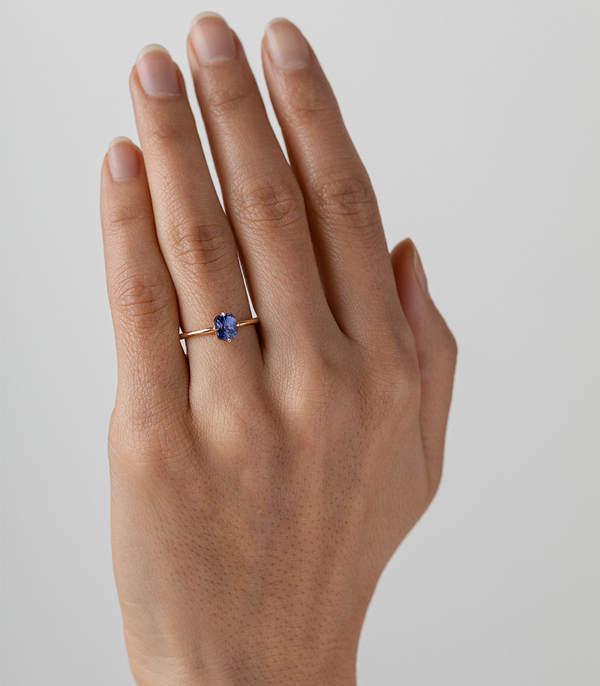 One natural, non-heated violet-ish blue step cut sapphire (1.22 ct) from Sri Lanka, is elegantly set in a north-south setting on a smooth round band. 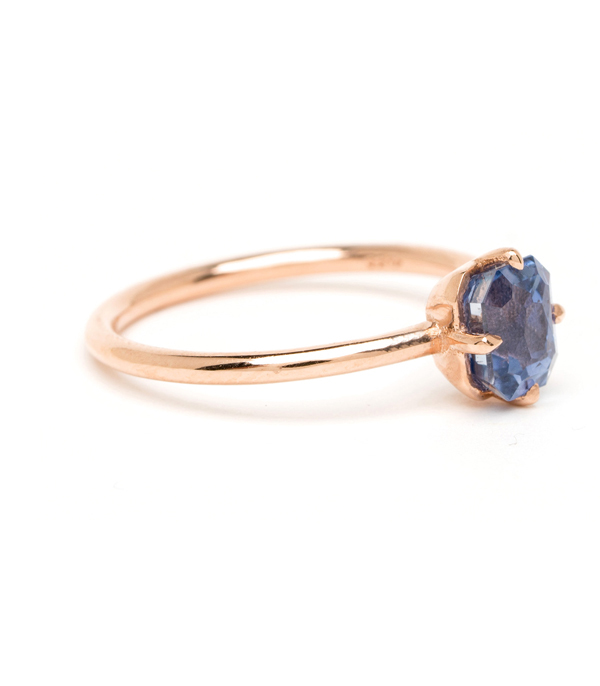 We are experiencing a bit of sapphire obsession these days! 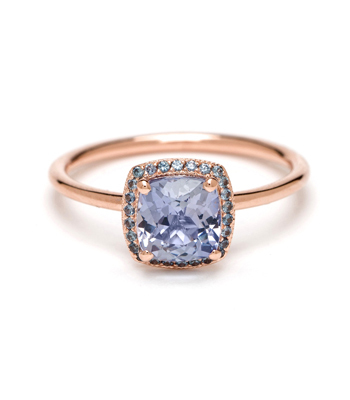 It’s not hard to do when these blue stones beautifully reflect the sky’s every shade. 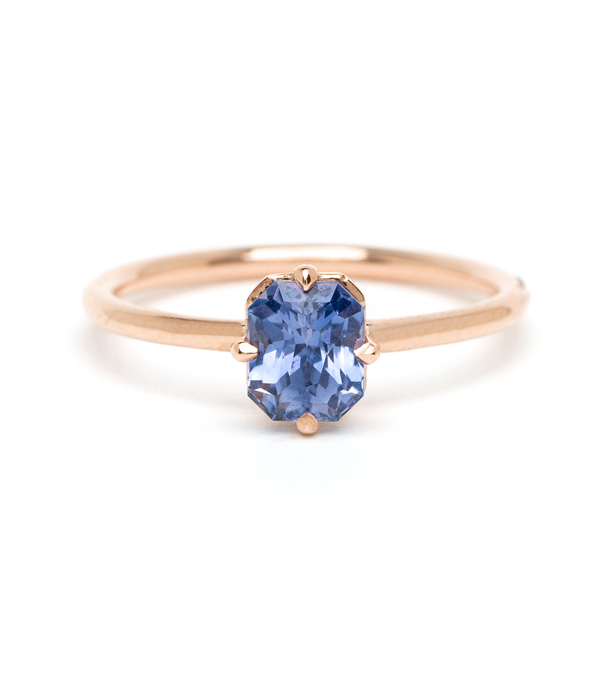 In fact sapphires historically have made attractive alternative wedding ring center stones. 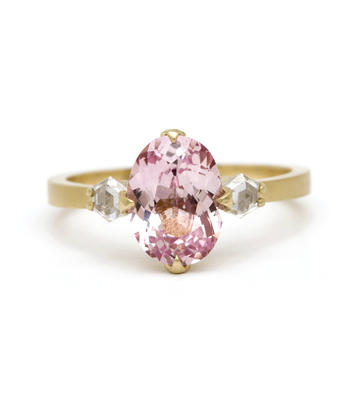 Over the ages, the gem has symbolized nobility, truth, sincerity and faithfulness. 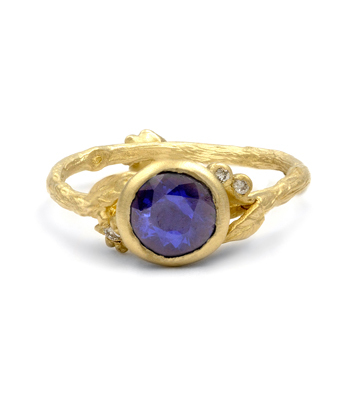 We think this gem's treasured past only adds to the allure! 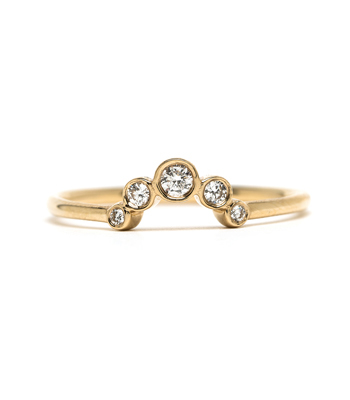 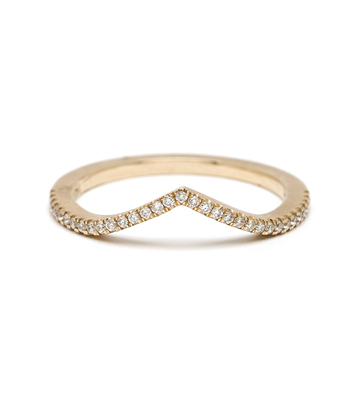 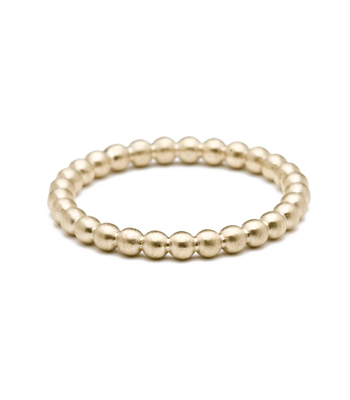 This one-of-a-kind ring was created for a modern bride who appreciates a twist on tradition. 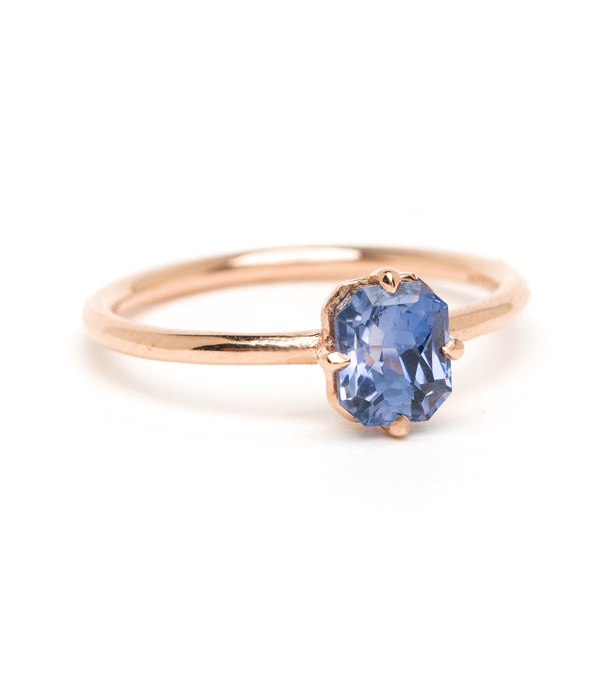 Categories: All Engagement Rings, Artisan Mined Colored Gems, Gemstone Rings, One of a Kind Bridal, Simple Solitaire, Timeless Glamour.